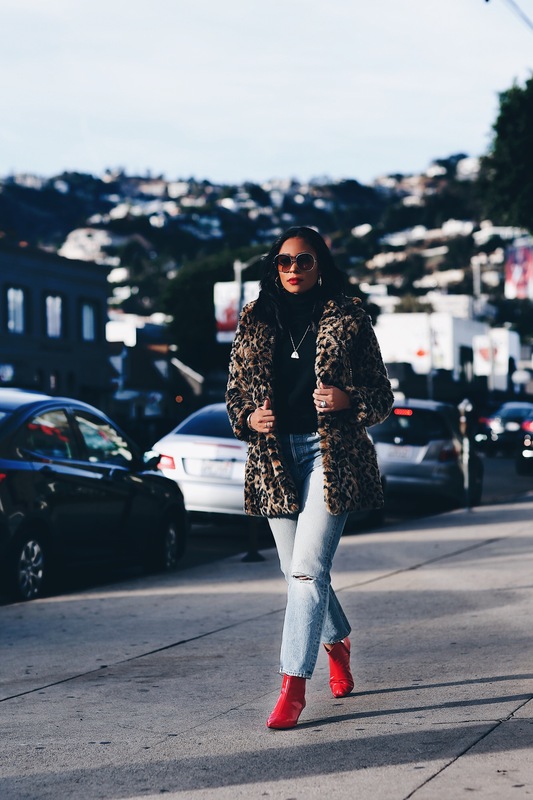 It’s no secret that leopard print coats are one of the biggest trends this winter season. 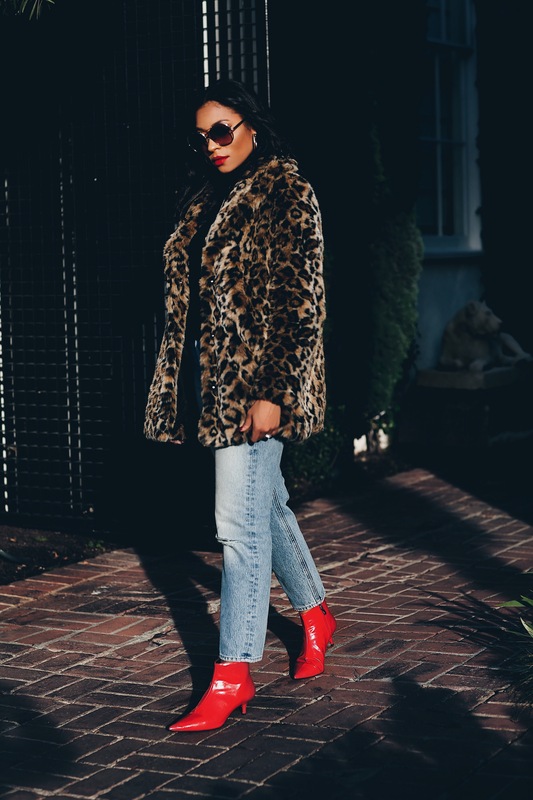 Back in September, I saw plenty of fashions most influential people wearing leopard prints all over town during New York Fashion Week. It’s no wonder these spots are now all over the gram ad made it’s way to my closet. 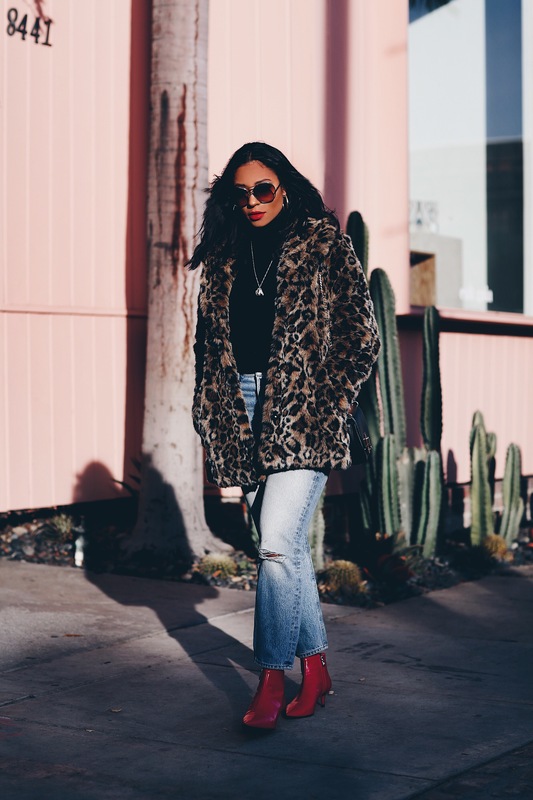 Celebs and influencers alike have adopted this trend in the form of the leopard coat. This spotted print is both bold and timeless. 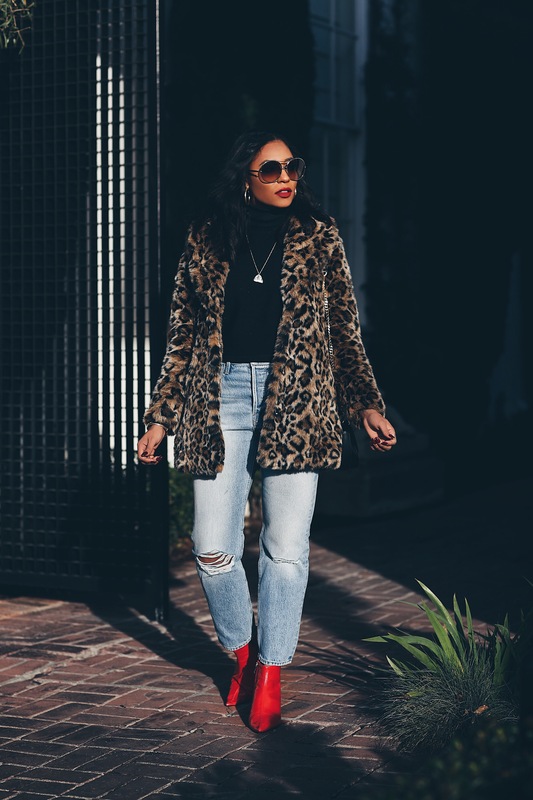 Animal print, can be worn 24/7 and a leopard print coat is a must-have. Knowing how to wear animal print comes down to this – Treat it like any black item in your wardrobe. 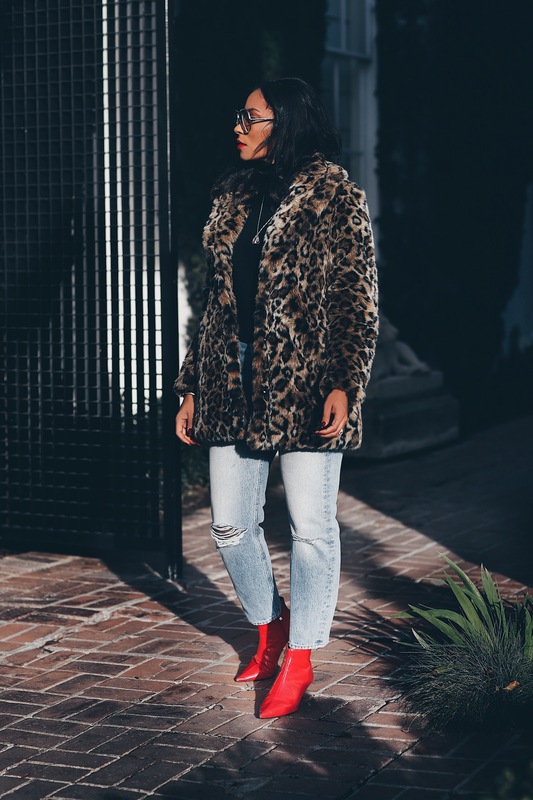 Yes, this might seem odd, considering that it’s a print, but adding a little leopard to any outfit, like black, upgrades and harmonizes any look. 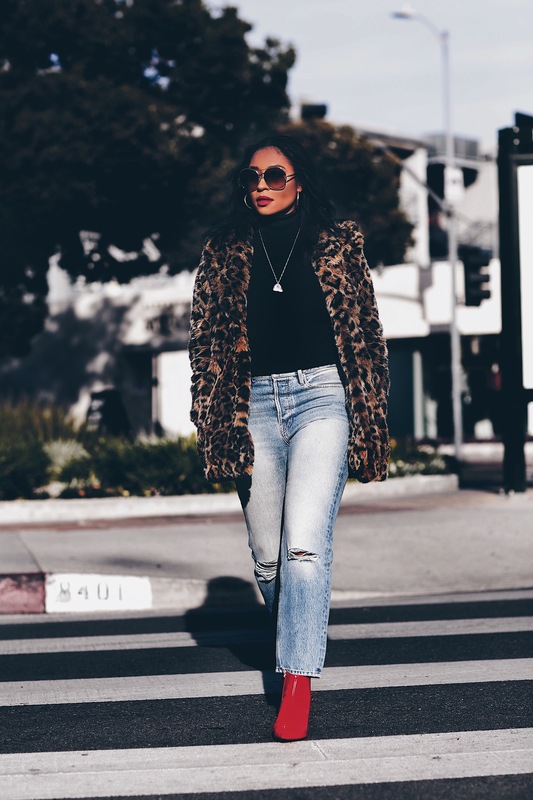 True, leopard print has often walked the line between flashy and luxurious, but it’s been proven time and time again that fashion girls can’t resist it. Throw it on with your LBD or casual denim look, it can be dressed up or down. 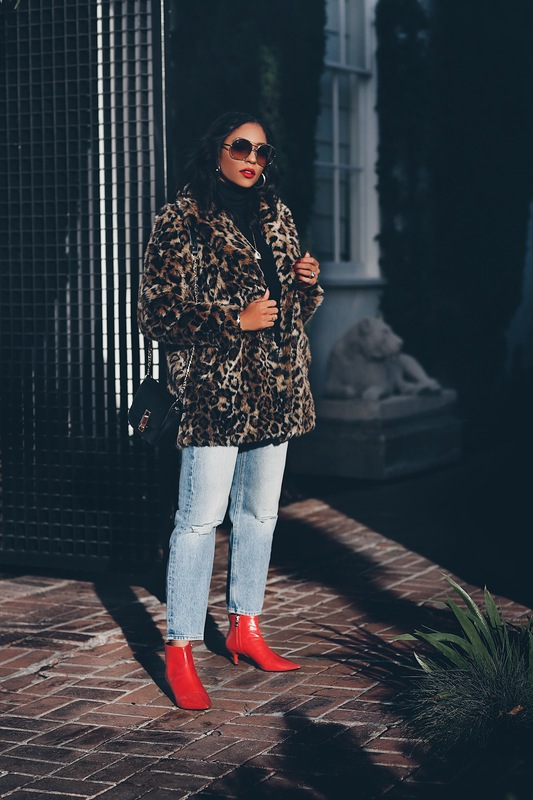 Nowadays, this print is a classic for any closet and it would be hard to find anyone who doesn’t own at least one standout animal-print piece. 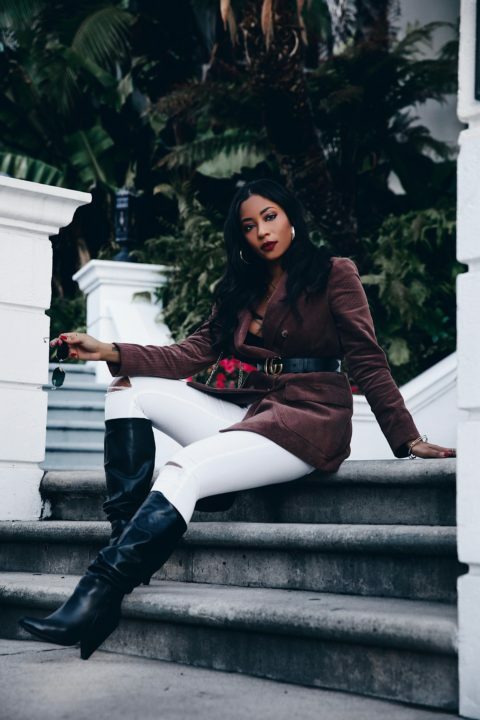 In 2018, there are plenty of fashionable and affordable ways to enjoy it, thanks to brands such as Zara, Asos, and Missguided! I’ve linked my full outfit along with some alternative leopard coats that I love below. They range from all sorts of prices, but I mainly stuck with affordable ones. Monochromatic Monday: The vinyl trend is here to stay! Sign Up and Subscribe Today. © 2017 Hang it up LA. Proudly Crafted by PURcraft.